Madison Arts works to encourage artistic activities and initiates cultural programs that integrate, support, and advance arts and culture as an essential part of life in Madison. Madison Arts initiates and helps to develop plans and studies that work to focus the goals and needs of the art community in Madison. 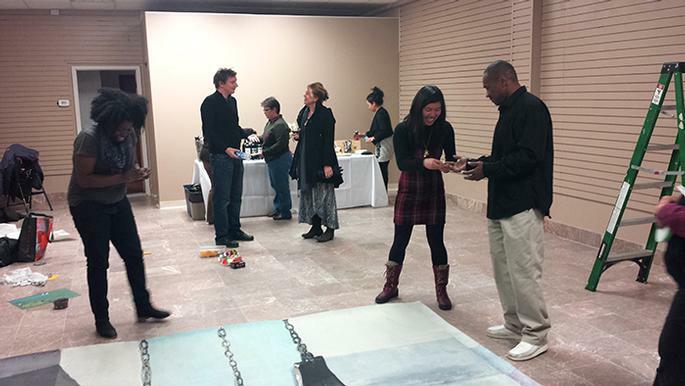 Madison Arts works closely with the community to provide exhbition and performance spaces and organize events where artists in Madison can experience a diversity of arts and culture. Tyanna Buie installing "This is only a Facade" for Blink in an empty State Street storefront. Space courtesty of Urban Land Interests.